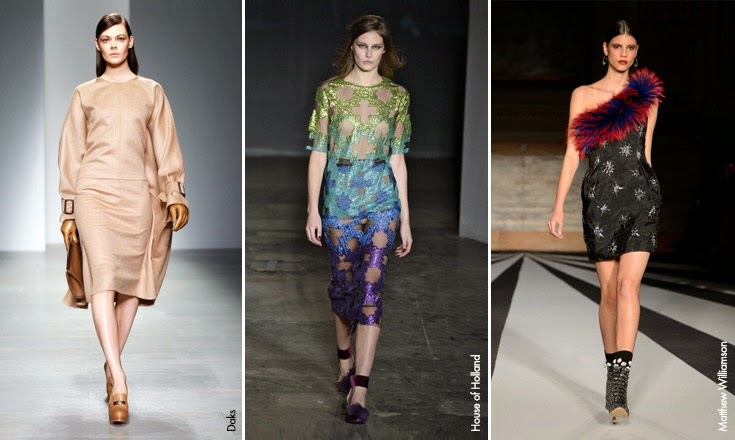 Be inspired by some of the best looks from London Fashion Week autumn / winter 2014 and learn how you get them home. Natural and simple minimalism was one of the biggest trends, with flawless skin and natural, almost invisible makeup. 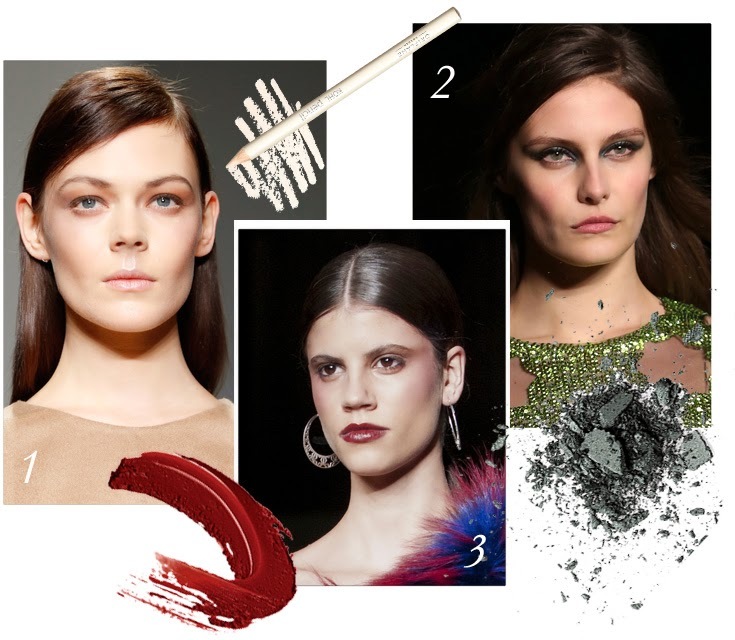 But there were also more daring trends, playful versions of classics like the smoky eye makeup and red lips. The hair was simple and combed into side parting, with either a glossy or tousled finish. 1 Daks showed off a simple but elegant and minimalist look with shiny hair and natural makeup. Apply moisturizing foundation and define your cheekbones with a bronzer and highlighter. Paint a white eye pencil on the lower waterline to create a more awake look (perfect a Monday morning!) Finish with mascara and pink lip gloss. Pull your hair back and put it behind your ears and finish with a serum or hairspray. 2 Instead of using black House of Holland green or metallic blue shimmering eye shadow to give the smoky eye makeup a bold party look. Use a metallic shimmering eyeshadow and put all the focus on the inner and outer corner of the eye. Complete the look with black eyeliner and mascara.